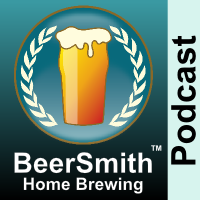 Christian Krzykwa from Industrial Test Systems joins me to discuss how to measure your beer brewing water, understanding a water report and also managing your mash pH. With the introduction of test kits and pH meters you can use at home you can get more control than ever over your brewing water and the beer brewing process. Editors Note: I apologize for the “flash” glitches in the video feed this week. We had a hardware failure and I’m in the process of buying replacement equipment to resolve it. Christian Krzykwa from Industrial Test Systems is my guest this week to discuss water testing and its importance in brewing. They make water test kits including the Smart Brew water testing kit designed specifically for quick electronic testing of your local water supply. We discuss what Industrial Test Systems does in water testing for a variety of fields. Christian explains why understanding the mineral content of your water is very important to home and professional brewers. He talks about how to read a water report and what are some of the key things to look at in your water report. We explore the “big six” water ions measured in brewing and what these do for you. He tells us why Magnesium is important for yeast and also how Calcium and Magnesium determine a water’s total hardness. Sulfate and Chloride play an important role in determining the hop balance of the finished beer – particularly the Sulfate/Chloride ratio. We talk about how Bicarbonate, Caldium and Magnesium drive Residual Alkalinity which is a measure of how resistant the water pH is to change during the mash. All of these items become important in the mash where maintaining a mash pH between roughly 5.2 and 5.4 is important for the overall flavor profile and stability of the beer. Alkaline water and acidic grains both play an important role here. Christian tells us why measuring your mash pH is still important even if you know your ingredients – as the final mash pH is very difficult to predict. We talk about some ingredients you can use to adjust your mash pH – including water additives to raise the pH and more commonly acids like Lactic Acid and Acid malt to reduce the pH. Christian spends a few minutes talking about the ITS “Smart Brew” kits which include digital water testing as well as a digital pH meter. Christian shares his closing thoughts. Thanks to Christian Krzykwa for appearing on the show and also to you for listening! Good morning! I just wanted to add a quick comment on how incredibly useful I found this week’s episode on brewing water. I’ve gotten to read bits and pieces of Palmer & Kaminski’s Water book from the Brewing Elements series for a brew science program I’m currently enrolled in and this week’s episode really helped me bridge the gap between some of the highly technical and the more practical when it comes to brewing chemistry. Thank you to you and Christian for sharing such helpful information – greatly appreciated!